On a blustery day in Buncloady Booterstown’s Coláiste Eoin secured their passage to the Top Oil Corn Ui Dhuill Cup final when defeating Kilkenny CBS in a hard-fought battle that was in contention right until the final whistle. With the wind having a big say in proceedings the Dublin side had whatever benefit it was giving in the opening half. They took full advantage in the opening exchanges with two quick scores from Séamus Ó Fiachna and Conall Ó Tuaithail. It was then, in the fifth minute that the Kilkenny side opened their account a long-searching delivery into the full-forward line was snatched by Oisín Morrissey and finished excellently to the back of the net. Two more scores followed with Jake Dwyer and Liam Moore finding their range. A placed ball from Séamus Ó Fiachna kept the scoreboard for Eoin ticking over. The decisive moment of the first half came in the 18th minute when CBS looked set to score another goal, Luke Hogan broke through the cover only for Coláiste Eoin netminder Ben Ó hEdihin to pull off a fine save. 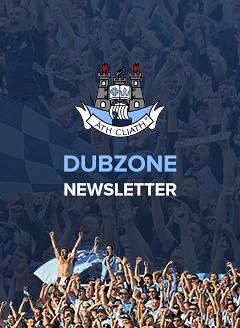 The resulting rebound was cleared off the line and down the field from which full forward Odhrán Mac Gearailt produced one of the scores of the game to ensure a four-point swing for the Dublin school. Séamus Ó Fiachna then took over scoring free before setting up Darach Mac Giolla Bhride for another. He finished the half with another 2 points to leave it 1-05 to 0-12 at the break. Kilkenny CBS knew that a big start was required if they were to keep their hopes of making the final alive. This was provided by the ever-lively Jamie Ryan as he slotted over immediately after the restart. This was quickly followed up by a free from Jake Dwyer as the Dublin side struggled to come to terms with the elements. A half-time substitution for CBS saw the introduction of Galmoy man Billy Drennan, who made an instant impact finishing a mazy solo run with a fine score. The CBS men were now well and truly back in the game, however another free from Séamus Ó Fiachna settled the Dubliners. 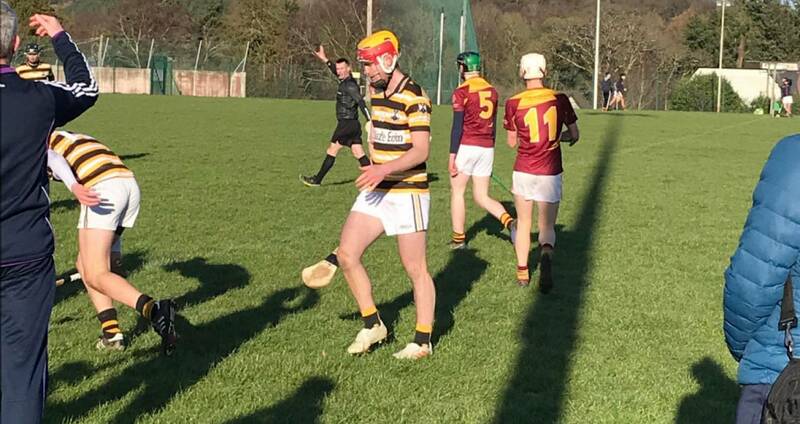 The deadball duties for Kilkenny CBS were handed over to Drennan who dispatched three in quick succession to leave them ahead by one. Coláiste Eoin refused to panic and a well worked score by Seán Ó Cinnseallaigh from a quick thinking short free by Ó Fiachna brought the sides all square. Another Drennan free had swung the advantage back towards CBS when up popped Pádhraic Ó Luineacháin on the 20-metre line a point looked on but the Kilmacud man had only goal on his mind and buried the ball into the bottom corner. This left them up by two points with time running out fast. Drennan then raised another white flag from a free in the 28th minute of the second-half. From here the Kilkenny men threw everything they had into searching for an equaliser, however the defense of Coláiste Eoin stood resolute with some fine tackling under pressure. The final whistle blew with Coláiste Eoin winning out by a solitary score after a fine performance in tough conditions. There were many stand out performers throughout with Ó Fiachna and Mac Gearailt leading the attack brilliantly while at the back Iain Ó hEithir was immense from centre-back. For the Kilkenny men despite the disappointment Jamie Ryan and full back Barry Lawlor can be well proud of their efforts.